I must have been around 10 years old when I saw this scene in a movie. It is a Holi celebration. Men and women wearing colourful clothes are dancing gracefully in sync with the background music. Lataji’s supreme voice anoints the scene with a Burmanda composition – ‘piya sang khelo holi, phagun aayo re’. Lending face and grace to this beautiful song with a dance to match is Waheedaji. The depiction of fun, gaiety and happiness is picture perfect. And then Waheedaji’s husband, played by Dharmendra, who has been away for a long time returns to surprise her. Right there, in the middle of the song, he sneaks up behind her and sprays coloured water all over her with a ‘pichkari’. Waheedaji stops her song and dance. A fraction of an expression of happiness on seeing her husband is followed by undisguised anger. She says to him “I am your wife and you have full rights over me. But my sarees are my own and you have no right to mess them up like this.” At this terrible insult, Dharmendra turns around and leaves. He walks out of her life, never to return again. Not until the interval at least. Wish you all a happy Holi and store all your gorgeous sarees away on Holi day please. Even though we have reached as far as E, I am conscious of the earlier alphabets I have left behind. And these are A for Arni (Tamilnadu), A for Ashavali (Ahmedabad) and B for Balarampuri (Kerala). I will definitely bring these and more to you once I have authentic photographs. And who knows, there are those sarees nestling between A and E that I still don’t know about. In E for Embroidery – Part I the skill quotient goes up several notches high. First there’s a concept and design of a saree that is then painstakingly woven. Then it is further embellished with microscopic stitches. Although India has a rich tradition of embroideries as I discovered in a book called ‘Traditional Embroideries of India’ by Shailaja Naik, in this post I will write about only those which I know well. And that is a comparatively small list. What Chikankari is to Lucknow, Kasuti is to Karnataka. I discovered this embroidery when my parents were doing an assignment in Dharwad, Karnataka. The lady who did our housework brought in a village woman who made these sarees on order. She took six months to make this saree for us. This is a favorite. Kasuti is a combination of two words ‘kai’ meaning hand and ‘suti’ meaning cotton. Kasuti is a type of embellishment done extensively on Ilkal and cotton Mangalgiri sarees. 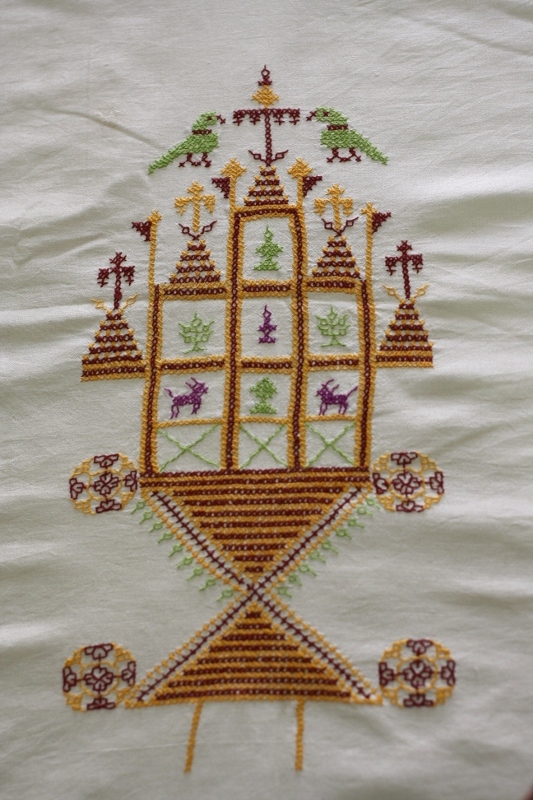 Created mainly by women folk in the villages near Dharwad and Bijapur in Karnataka, the stitch looks similar to the cross stitch, but it is quite different. The striking feature about Kasuti work is its neatness and pattern – so neat that it looks the same front and back. Further more, the stitch has the same start and end point. Fabulous! Can you spot the difference? An Kasuti elephant motif. It is difficult to tell the difference between front and back. An abstract geometric Kasuti motif. Clean work done in both front and back. Another typical Kasuti motif. Observe the start and end point of the stitch. A traditional Kasuti saree has a border and different traditional motifs like parrot, gopuram, lamps, palanquin and geometric abstracts and spread across the body. The pallu is filled with different types of motifs with no pattern or theme as such. This feature actually makes a quaint and interesting saree. The pallu of a traditional Kasuti is a mix of motifs. 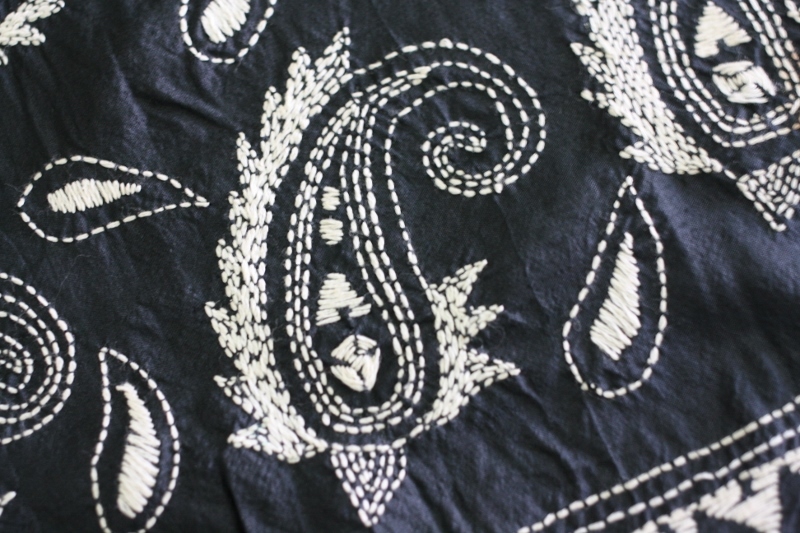 The most interesting Kasuti saree is the Chandrakali saree done on plain black silk. How wonderful for those who love black like I do. This saree at one time used to be a mandatory part of a bride’s trousseaus! Kasutis also look best on pale neutral shades to bring out the brightly coloured embroidery. 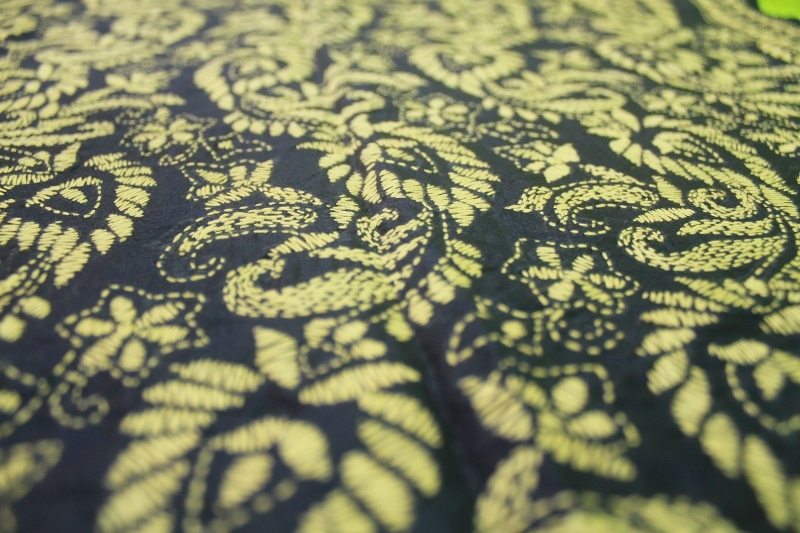 Kasuti embroidery is now machine-made and can be made to order from shops in cities. The word ‘kontha’ in Sanksrit means rags. The stitch called Kantha today came about when Buddhist monks used to stitch together rags from old clothes to cover themselves. This idea was carried forward in households where women folk stitched old cloth pieces in their spare time to mend them. The thread used for stitching was also taken from old cloth. A beautiful art form emerged from a humble practice unlike many others that were commissioned by royalty. And here’s your rags to riches story! 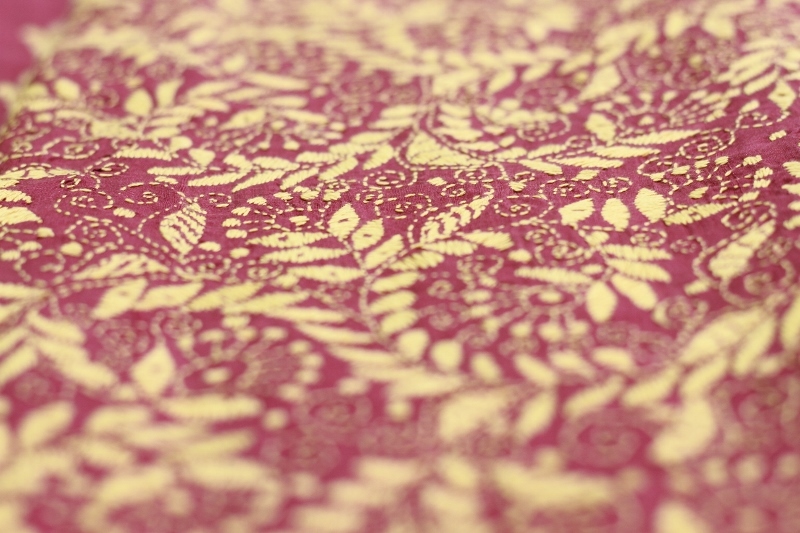 A splendid single colour Kantha stitch done on pure silk. 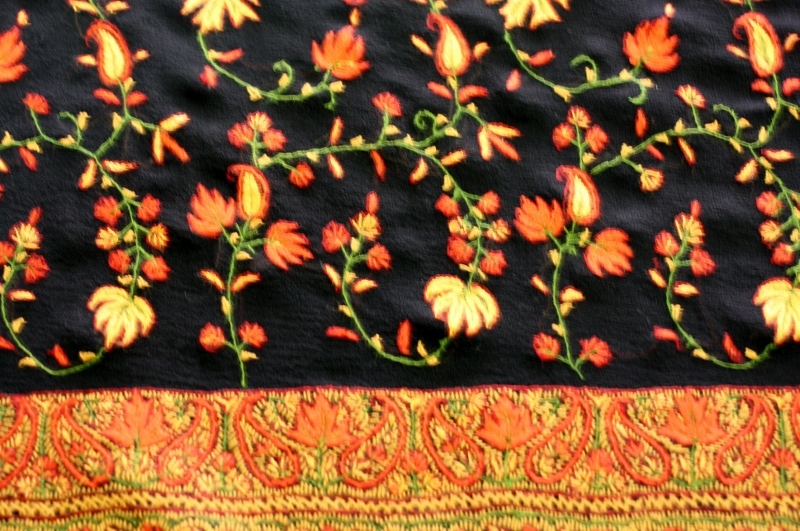 Popular motifs in Kantha are village scenes, animals, birds and daily objects. Abstract patterns like the mandala are also popular. 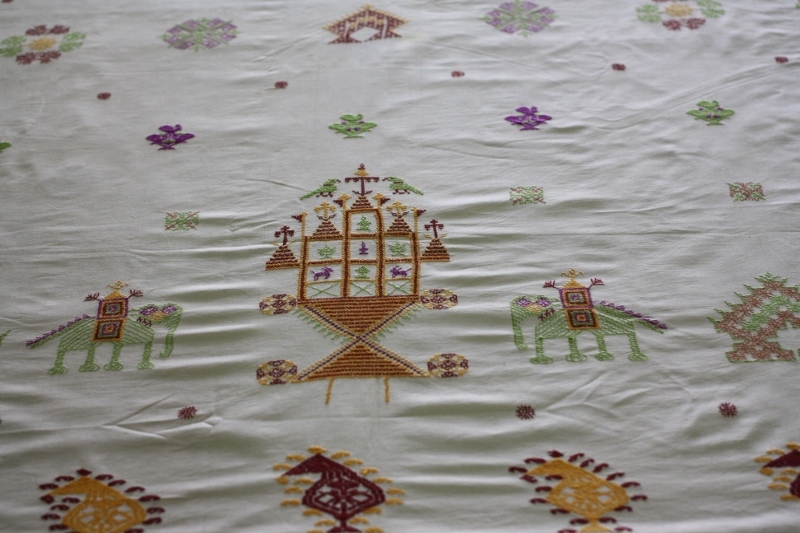 Warli village motifs done using Kantha. 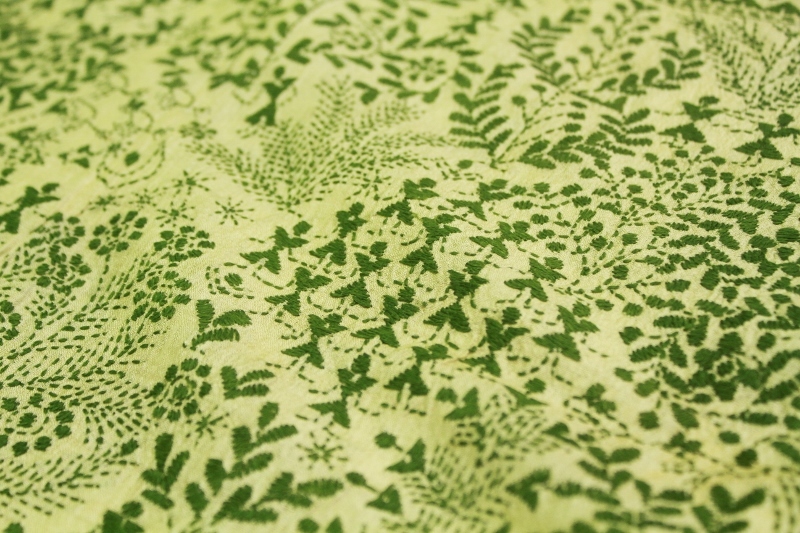 Kantha is done using different types of stitches like running, darning, satin and loop stitch. These are used exclusively on a saree or in combination. For example a stem stitch maybe used to outline a motif. The most popular Kantha sarees are those done with colourful threads on beige Tussar silk. Softer fabrics like Mulberry silk and Matka silks can also take the weight of a heavy Kantha embroidery. Something beautiful from a land so beautiful – the Kashmiri Kashida is a melting pot of art influences from local art, Mughal and Persian art. 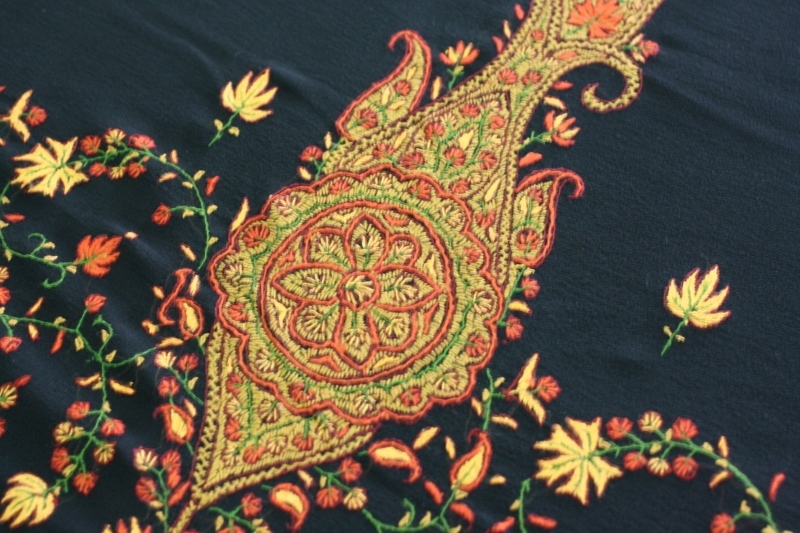 Once again, the stitches used are similar in Kantha – stem, chain, satin and occasionally herringbone. The motifs are similar too – birds, flowers and animals. But see how different it looks. 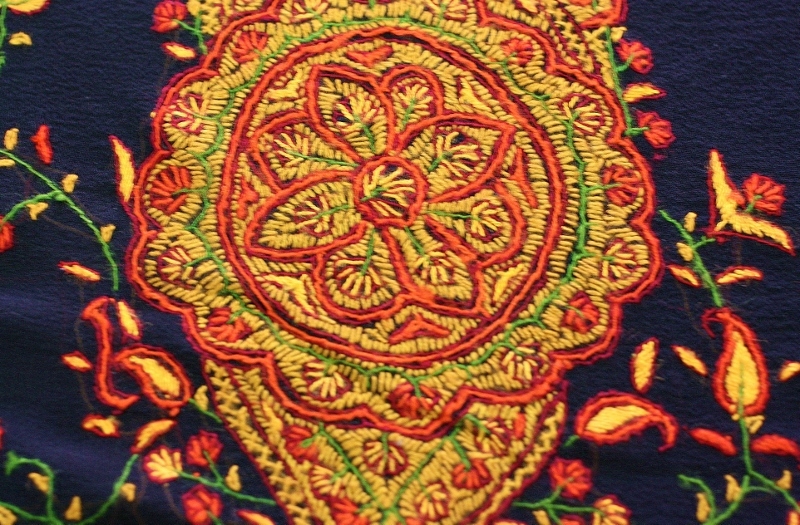 A closeup of the motif above reveals the stitches. The saree is at best 6 or 9 yards. But its history covers the length, breadth and depth of this country. All photographs in this post are copyright Punam Medh and are not available for use anywhere else. 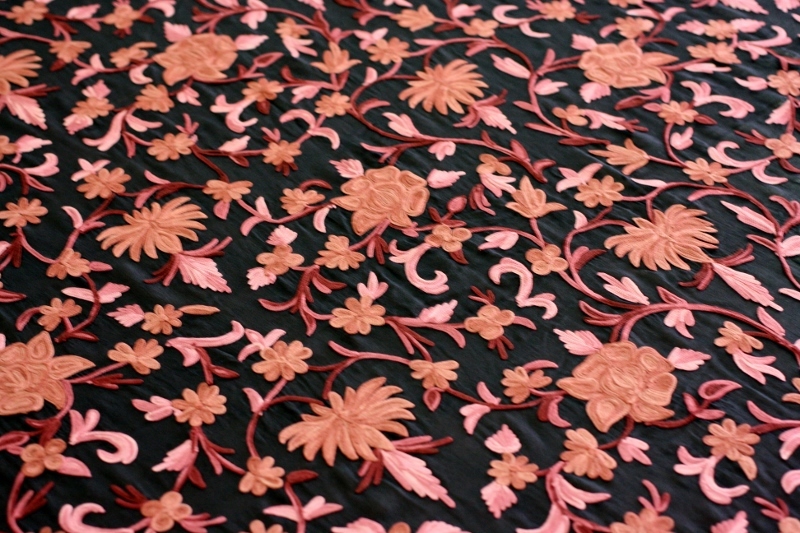 Very informative details on embroidery work from different parts of India…. great…. hey punam…i too have a saree of Kasuti embroidery !! while preparing for my trousseau, a newly married bride of a close frend insisted that i shud have a saree of “one thread work” i.e Dharwaadi work…n now i learn it is Kasuti…n dat saree is in a glorius red..wich i wore on d very 1st day of my married life !! N my frend had said, Anu this will b like an heirloom !! N i have treated it like one !! :)))) love reading ur blog ! !